One thing we ask – if there are specific things you’d like to see that you have seen on our website, please let us know the item numbers so we can check it’s on display. Nine times out of ten it will be but some of our goods are in storage as we just don’t have the room for all our stock. If it is in storage we can arrange in advance to have it ready for a viewing. We are easily accessible from London either by car or rail. Via rail the nearest train station is Potters Bar which is just 20 minutes north of Kings Cross with at least four trains an hour. The station is around 5 minutes from the showroom by taxi – there is a taxi rank just outside the station. 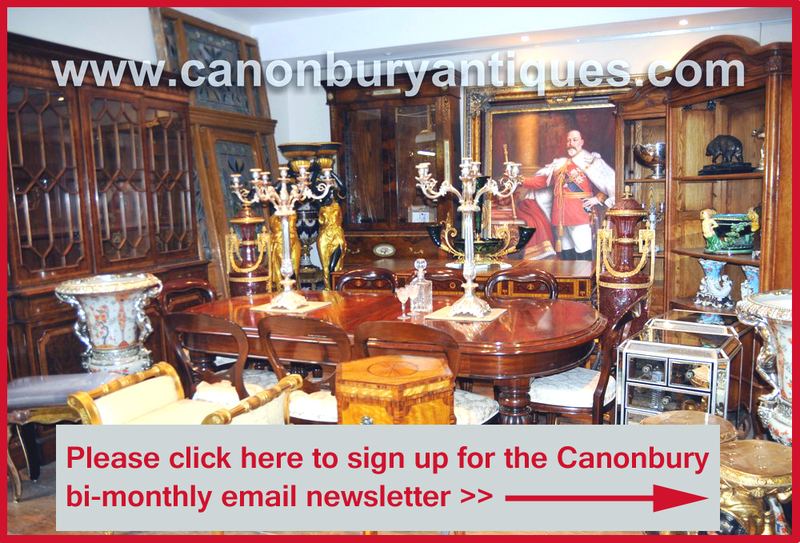 Most local drivers will know the Canonbury Antiques Hertfordshire showroom. The rail network in the UK is excellent and easy to use. 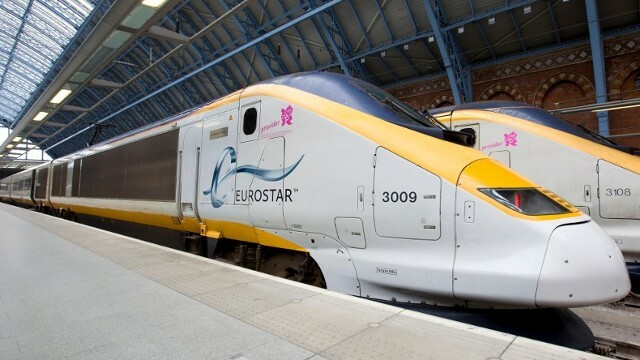 Kings Cross is also the terminal for Eurostar – perfect for our European friends visiting from Paris, Brussels and anywhere else on the Continent. For our many customers from abroad we are very close to Heathrow airport (just 25 minutes around the M25). 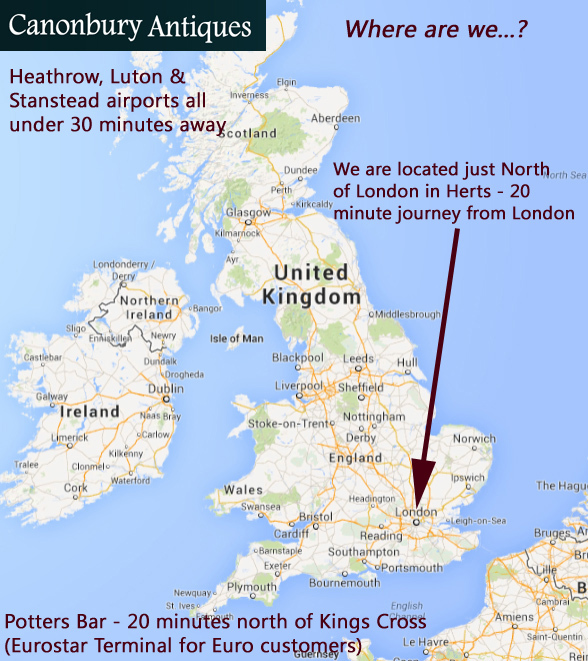 We are also close to both Luton and Stanstead airports which are approx 30 minutes away. We have visitors from all over Europe, North and South American, Australia, Asia – in fact everywhere in the world. 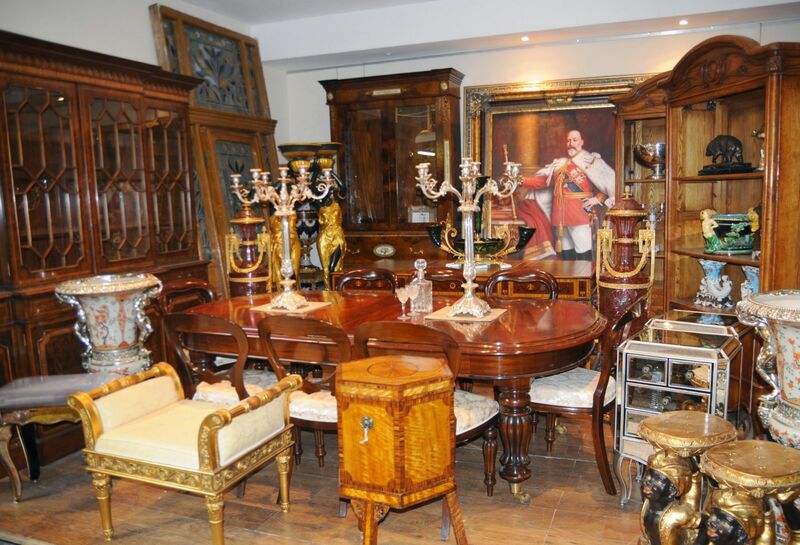 Our Hertfordshire antiques showroom is truly global. 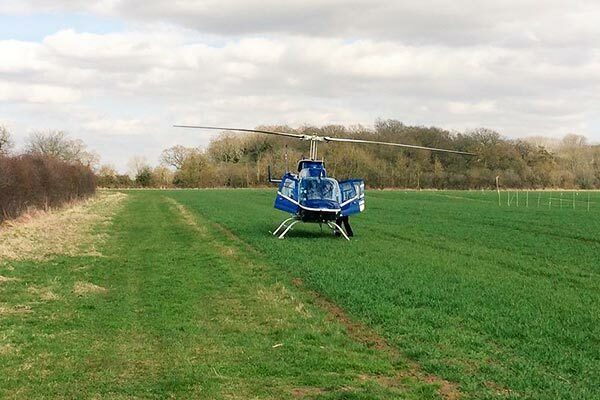 That’s right, if you have your own mode of air transport you can land your helicopter in the field next door. As exactly a number of clients have over the years. If you don’t own a helicopter the Number 179 bus stops relatively close to us on the St Albans Road! Often people who come to visit our Canonbury Antiques Hertfordshire showroom they might incorporate it with visiting some of the many local places of interest. 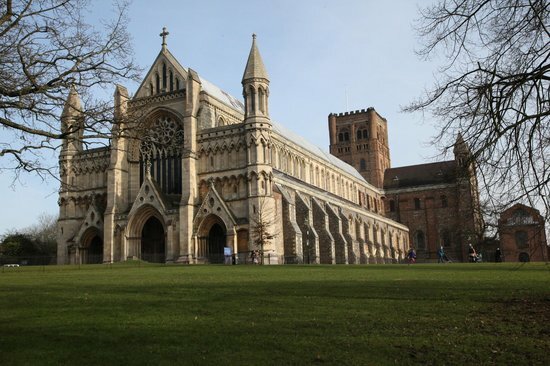 We’re just 5 minutes down the road from historic St Albans which has a cathedral, Roman ruins and was the place of various battles during the War of the Roses. It’s a gorgeous market town with nice shopping and lunch spots. There are also numerous good lunch spots, pub lunches, walks and we’re also opposite the Mosquito aircraft museum. 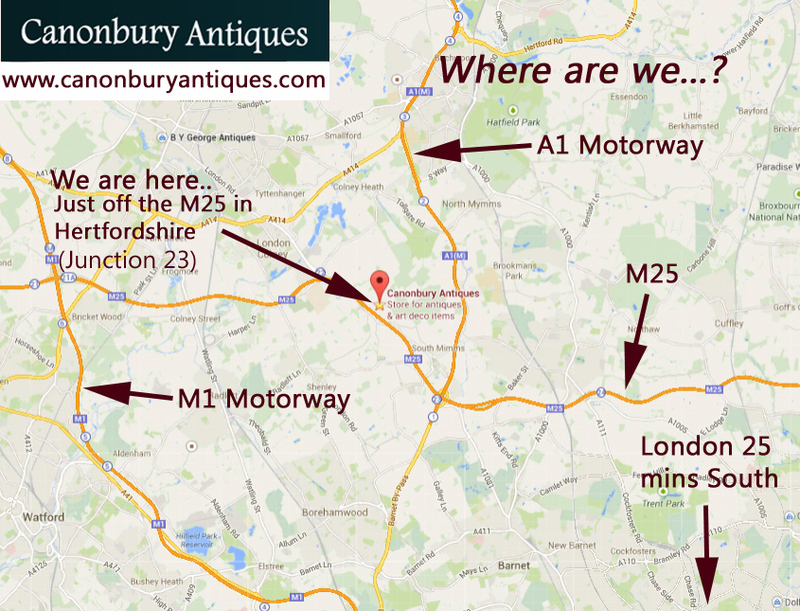 Please let us know if you have any questions whilst visiting our Canonbury Antiques Hertfordshire showroom.